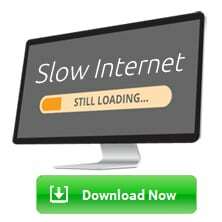 Finding the Best Free TFTP Server for your IT needs shouldn't be difficult, although many times it is. Below your will find a detailed comparsion of the Top 10 TFTP (Trivial File Transfer Protocol) software to use in your company and environment. Download some of the Free Trials below to really get a feel of how to use the software and how to configure them properly. We're sure that you'll find what your looking for in terms of finding the best Software for your needs. 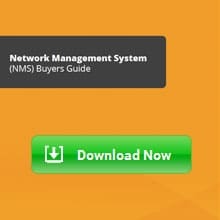 Our exhaustive checklist below will tell you everything you need to know about every software manufacturer and product, including screenshots, tutorials and of course, Free Trial links to use in your network. Many of the Software and Downloads below will also allow your to use other protocols, such as SFTP (SSH (or Secure) File Transfer Protocol) and SCP (Session Control Protocol) servers if you need more flexibility in terms of finding the best solution for your Security and Storage requirements. 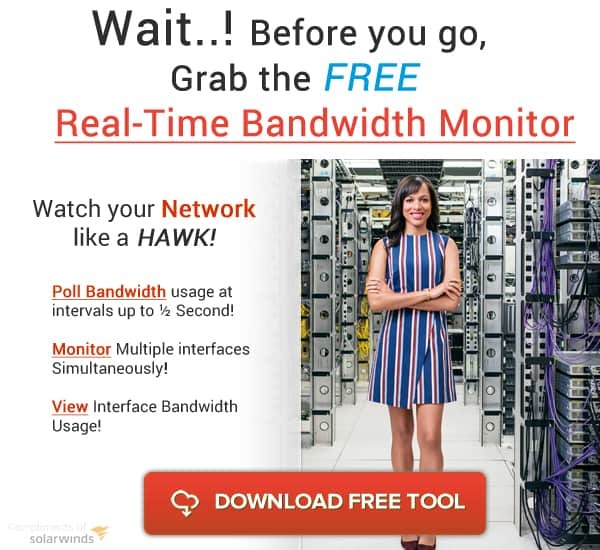 Solarwinds is the Standard when it comes to IT and Network management software and they have recently released their version of a server that is very robust in terms of upload/download speeds and connections, boasting its “multi-threaded” support. With its ability to transfer large 4gb files and simultaneously upload files from multiple devices, this Software is truly the Cream of the Crop. Along with its multi-threaded support, IP Address filtering or Restrictions (either Single or an IP Range) can be specified to Send/Receive files for added security. They also provide a great free SFTP/SCP Server that combines SCP and SFTP with Trivial File transfer protocol technology to give you an even more secure upload/download environment for your network components. 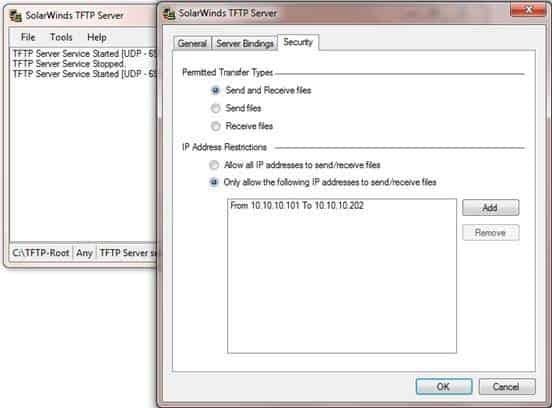 WhatsUp Gold server is also another great alternative due to its support for large file size transfer (4GB), along with IP address and client Restrictions. The server configuration goes a little deeper than other software packages, allowing you to bind the server to either a Single IP address on the server or all of them, giving you another level of control if you run this in a Virtual Machine. 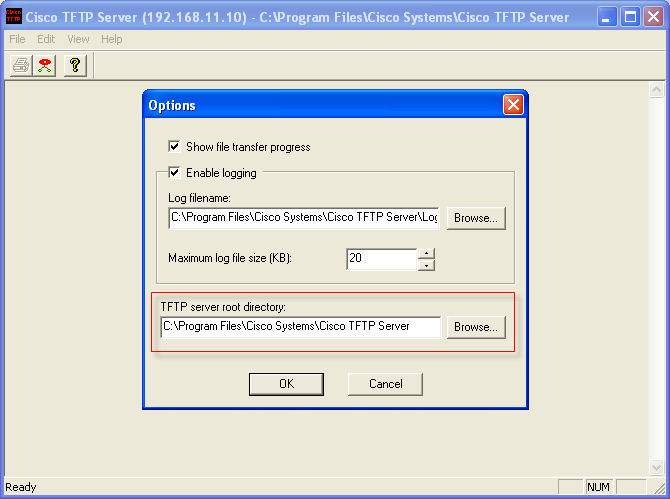 TFTPD32 is the predecessor of the original trivial file transfer protocol server that was released by Cisco, as we’ve highlighted below, which is now discontinued and not supported by Cisco anymore. This software is Open Source and has an array of features bundled into the software, such as SYSLOG, DHCP, DNS and SNTP, along with being 32bit/64bit Compatible. TFTPD32 is also multi-threaded, and has complete compatibility for tsize, blocksize and timeout, along with great support for newer Windows 2008/2012 servers and is IPv6 compatible and ready! 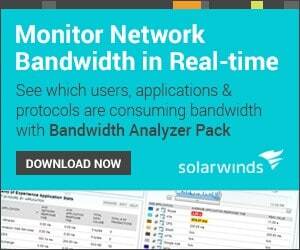 SpiceWorks has recently released its own server as well, adding to their browser-based management tool. 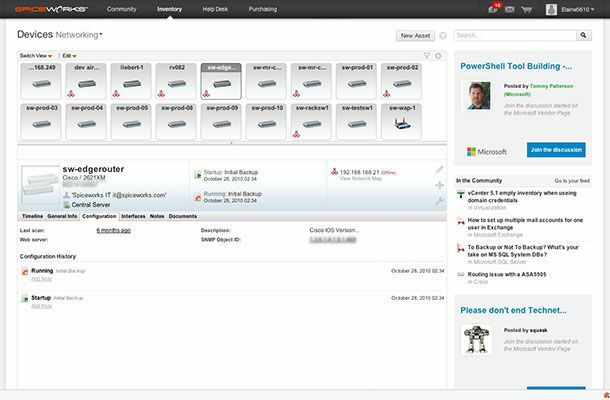 The server gives you the ability to back up and restore critical files if configurations become skewed and get erased or lost. They also have added a great side-by-side comparison view to see what has changed in configuration files, along with the ability to push firmware updates to all supported devices. 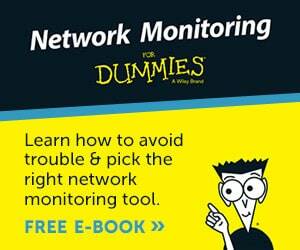 We've included Cisco's version of the software if you want to take a walk down memory lane, although we don’t recommend using the software, as it has been discontinued, its worth at least paying homage to one of the greatest of its time. Cisco released its server in 1995 as being one of the first, and only (at the time), freeware trivial file transfer protocol servers to hit the market. The user interface was simple and to the point, giving options to view Interfaces, DHCP services, Routing and other administrative functions. 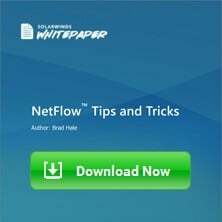 This software has since been discontinued by Cisco due to its well known vulnerabilities and exploits, including unauthenticated access to files and information on the server. There was only 1 version of the Server (version 1.1) and was only available in Windows 98/Me/2000/XP/ and is no longer distributed nor supported by Cisco. 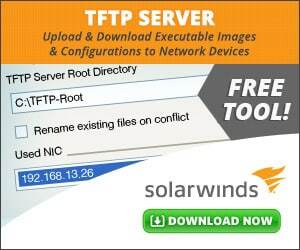 Now that we've discussed these Free TFTP Server's, Download and Get this installed!